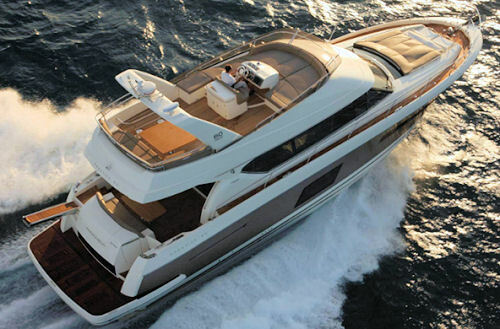 With passion and respect for true maritime values, the garroni designers developed the concept for the prestige 60. Beauty and function are found in every detail of this superb yacht, where elegant lines and luxurious materials are married with a harmonious distribution of space and a unique contemporary style. With the all-new pod propulsion system and a specially designed hull, the prestige 60 delivers exceptional performance, fuel efficiency and unparalleled handling at sea. The propulsion system facilitates manoeuvres, whether docking at port or navigating the toughest sea conditions. designed with the most advanced computer design software, the v-shaped hull and the optimal deadrise at the transom ensure comfortable steering through choppy seas and great stability, with extremely low noise and vibration levels. 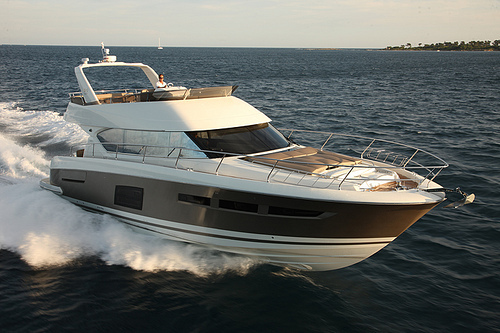 The flybridge features a superb living area where comfort meets elegance. The prestige 60 boasts an original fibreglass arch covering the lounge area of the flybridge, which includes a comfortable sundeck, a central helm station and a spacious seating area. 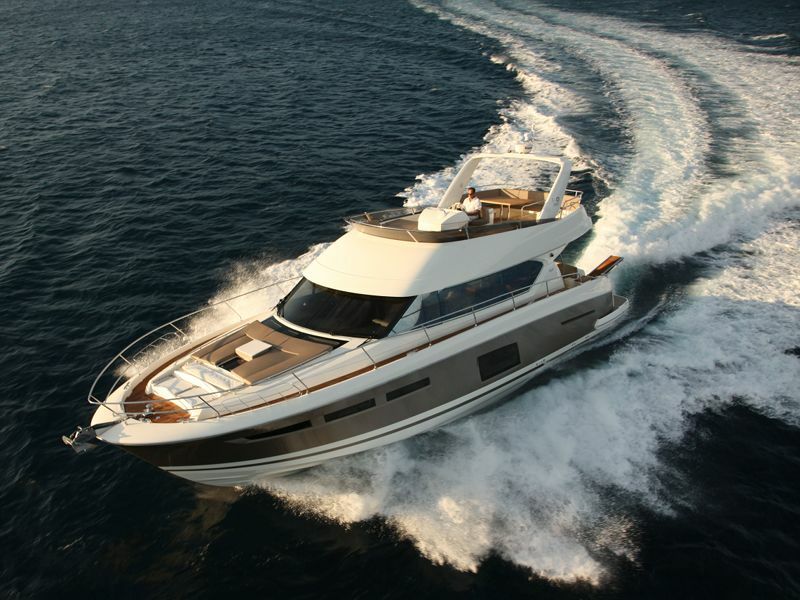 The prestige 60 was conceptualised to offer multiple living spaces with innovative design solutions, including sheltered seating on the fore deck, a spacious flybridge and a hydraulic swim platform aft. the choice is yours! 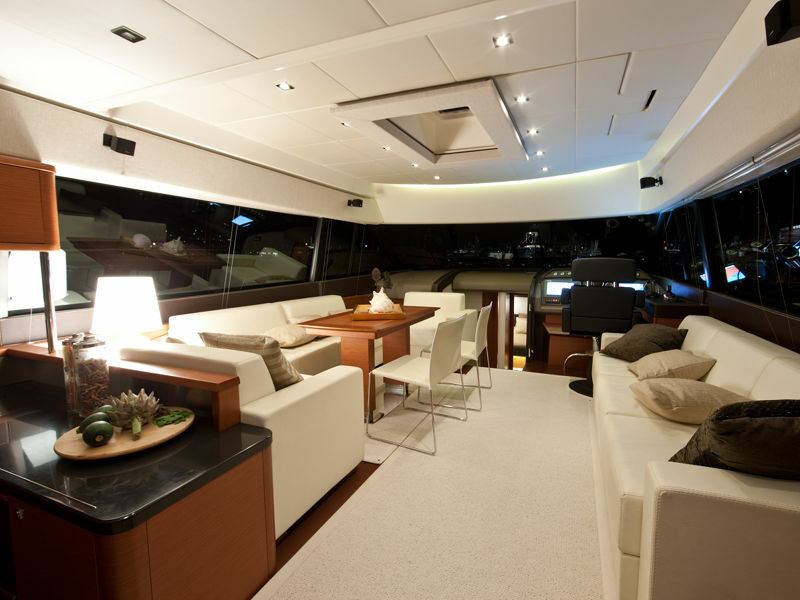 The saloon of the prestige 60 is a distinctly unique living area. on the same level, a fully equipped galley is perfectly positioned for comfortable access to both the interior and the exterior. Panoramic windows in the saloon frame an uninterrupted view of the horizon. 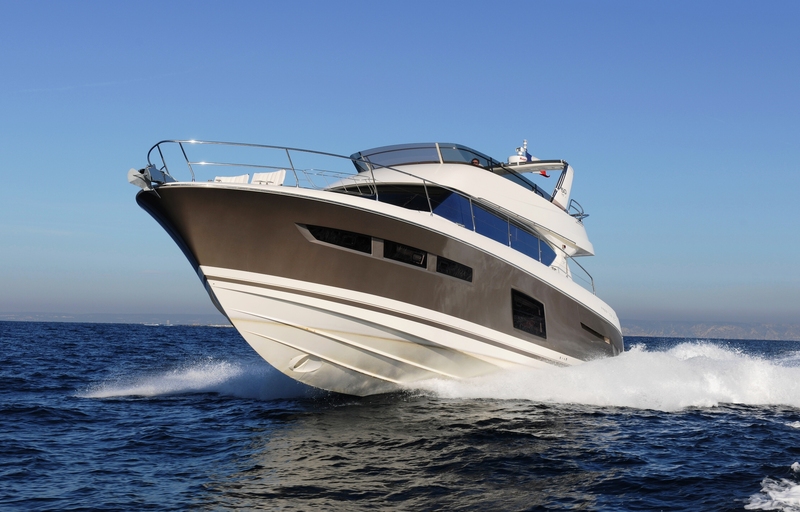 The hull of the prestige 60 was designed by internationally recognised naval architect, Michael Peters, to be propelled with a Volvo ips propulsion system, yielding excellent performance in terms of comfort, speed and low fuel consumption. The hull is constructed by infusion process and shaped with a deep v, tapered for optimal performance. Due to the forward position of the engines and the efficiency of the pod system, weight distribution is optimised for astonishing performance, extreme comfort, excellent sea-keeping, and exceptionally low noise and vibration levels.